The Trump administration has announced it is considering a proposal to conduct seismic testing for oil and gas in the Arctic national wildlife refuge, the largest such preserve in the US. If the plan moves forward, vehicles with “shakers” – diesel-powered equipment that sends tremors through the landscape – will be deployed along Alaska’s northern coastal plain in an effort to map underground hydrocarbon deposits. SAExploration, the Colorado-based firm that would carry out the work, has committed to mitigating environmental impact by using large sleds, and non-industrial vehicles along ice roads, to minimize scarring and impact on flora and fauna. Nevertheless, airstrips would need to be built in the pristine wilderness to service the two 150-person teams in charge of the mapping. Biologists and environmentalists argue that the testing will cause irreparable harm to the pristine wilderness. The Porcupine caribou herd, which migrates 1,500 miles through the refuge, ends its journey along the plain where the testing will take place. The caribou calve along the coast and provide critical subsistence food for the Gwich’in Nation, which has lived and depended on the land for thousands of years. In April, the US interior department commissioned an expedited environmental review of the impact of leasing the land for oil and gas drilling. Since its founding by Theodore Roosevelt in 1903, the refuge has embodied the American ideal of “wilderness” – where no roads, buildings, or any trace of human presence is allowed, save for temporary shelter. Opening the refuge to drilling has been a signature part of Trump’s pitch to Republicans, despite enormous public resistance. Both Alaska’s senators, along with its single House representative, all Republicans, favor the move, which is estimated to bring in more than $1bn in federal revenue over the next 10 years. No seismic work has been done in the refuge since the mid-1980s. 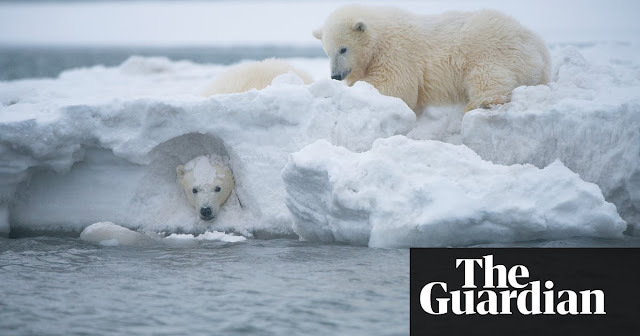 Despite enormous pressure from the Republican party to open the land, The refuge is not bifurcated by roads or the tread marks of industrial machinery, and the migrations of caribou, polar bears and waterfowl proceed unhindered by humans. In July, the Porcupine caribou herd will conclude its calving season and head back into the mountains for the winter. Leases for full-scale drilling along the coast could be available as early as summer 2019 – right about when the caribou herd descends on to the coastal plain after its long journey to give birth once more. This article was amended on 24 July 2018 to remove an erroneous reference to caribou migration.